Tom Sands, who has been the interim president since the departure of previous president Walter Ramos this year, will take over the permanent post. This announcement comes on the heels of a recent expansion of Steward Health Care system, of which Carney is a part, to encompass 38 community hospital campuses in the United States and Malta. Sands previously served as the senior vice president of operations in the Northeast Division for Steward Health Care. 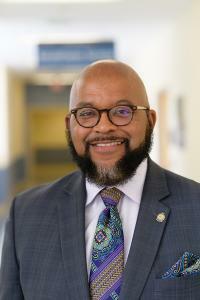 Before joining the Steward system, Sands worked at Navicent Health, overseeing development and leadership of customer services, diagnostic and therapeutic services, and hospitality and support services and operations as he held various executive operational and service roles. "We are proud to announce Tom as Carney's President," said Trip Pilgrim, Regional President for Steward's East Division. "Tom's extensive health care experience delivering strong operating performance while focusing on patient care and safety make him a strong successor for Carney. The entire senior leadership team is looking forward to the future as we continue to position Carney as the premier community hospital serving the Greater Boston area."